I worked at Disney’s Animal Kingdom when it was open at night for the first time in its history. Gone were the days of 5pm closings. Here was the dawn of a new era for the park in preparation for Rivers of Light and Pandora: The World of Avatar. On some evenings, part of my role on the Park Arrival team was to stand at the bridge connecting the Oasis entrance/exit pathways to the rest of the park. As guests departed Discovery Island and made their way toward the park exit, I bid them farewell and pointed an orange traffic wand in the direction of the return location for rented strollers and wheelchairs. This duty, called “top of the hill,” was disdained by fellow Cast Members for its requirement of repeating the same one-sentence recitation every few moments, but I jumped at the chance to do it any time I could. Despite the bustle of people, it was, in a way, peaceful… the sun setting, the mood of the park changing, and, most exciting, the Tree of Life awakening in a series of new projection shows. Each time the tree awakens for one of these encounters, it is illuminated from within by a brilliant orange glow. It’s as if the entire inside of the tree is radiating, with the crevices of its trunks providing passageway for the light to reach the skies. It’s a breathtaking sight that only exists for several seconds as the presentation begins. It starts with a small murmur of instrumental music, and then the sound heightens when the tree blasts the orange glow. Each time I had top-of-the-hill duty, as the quiet murmur indicated the impeding start of the awakening, I began to move my orange wand in a close, circle shape. As the music built, the radius of my circle grew larger and the speed of my arm became faster. Finally, just before the tree glowed orange, I swung my wand toward the tree as if extending a fishing line… and wouldn’t you know it, to any guest watching I just lit the tree. Why do I share this silly story of a way I found to pass time on the job? Because those kinds of moments were inhabited in an environment completely new to Disney’s Animal Kingdom: nighttime. The park is in the middle of a bold undertaking to transform its space from a 9-to-5 supplement of a Walt Disney World vacation into a headlining attraction, whose greatest impact is found within its newly christened evening hours, which will extend as late as 1am most nights this summer. With the upcoming opening of Pandora: The World of Avatar comes not just a new land, but the culmination of a sweeping redefinition of the park and the guests’ relationship with its berm. Simba, you must remember who you are. Before we seek to add new meaning to the park with its latest additions, we must first understand the initial purpose of the park. I’m the kind of person who likes expectations. If I’m given a project, I like guidelines for the direction it should take. If I begin a new Netflix series, I like to read the brief description before viewing. I like to know what I’m getting myself into, especially if I can get any sort of intention from a work’s author(s). Therefore, dedication plaques at theme park entrances always fascinate me. Often overlooked, these are at the front of pretty much every major theme park and serve as a monument to the park’s opening day. They offer insight into the content we are about to experience as a guest. Not only that, but the dedications often explicitly state the intended purpose of the park; that is, what its creators hope we glean from our time spent here. That’s valuable information to know upfront. Not only that, but in terms of future endeavors the park may set out on, its dedication provides appropriate framework. If the dedication’s words are implicitly the definition of what the park strives to be, then any new attraction added to its roster should directly align with that definition. If they don’t, then they arguably don’t belong in the park. This notion is certainly a controversial one in considering each new attraction added to any given theme park at any given resort, not just Disney and not just in 2017. That being said, this idea does prove intriguing when assessing the (little red) elephant in the room: Does Pandora belong in Disney’s Animal Kingdom? Personally, I was baffled when the expansion was initially announced in September 2011 (yes, it’s really been that long). The park needed an addition of this scale, but does James Cameron’s Avatar align with what Disney’s Animal Kingdom is… or even any part of Walt Disney World at all? Welcome to a kingdom of animals… real, ancient, and imagined: a kingdom ruled by lions, dinosaurs, and dragons; a kingdom of balance, harmony, and survival; a kingdom we enter to share in the wonder, gaze at the beauty, thrill at the drama, and learn. This laid the groundwork for what the first version of the park aspired to be as it stepped forward, highlighting three types of animals who call its gates home: “real, ancient, and imagined.” The park still hits most of the dedication’s notes, certainly in theme but perhaps not in specific example, most notably in citing “dragons” among its inhabitants. (This is a remnant from an unfinished, never-built project.) But we’re getting somewhere. That being said, would the park define itself differently if a new dedication plaque were made today? As it just so happens, the park’s lead Imagineer, Joe Rohde, just answered this very question. If these qualities are what the park aims to be in 2017, then Pandora does indeed fit the bill, regardless of the pop-culture relevance of Avatar as a franchise or our love (or lack thereof) for the film. Granted, one might play devil’s advocate and argue that these concepts weren’t described in this verbage publicly until now. Essentially, these three points could have been “defined” in reverse as a means of justifying the inclusion of Pandora to the park’s menu. 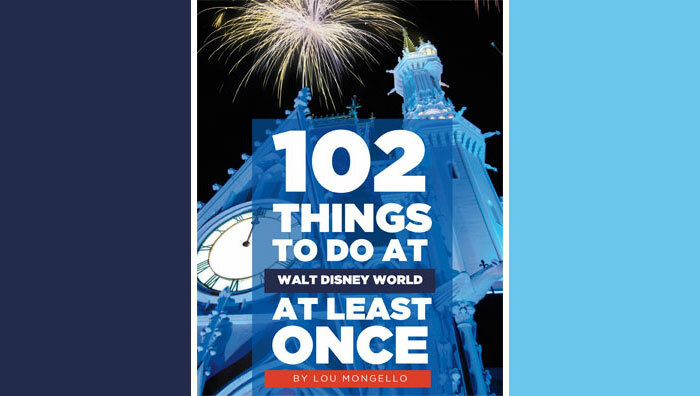 I would tend to err toward this opinion, save for a recent discovery I made in The Complete Walt Disney World 2009 by Julie and Mike Neal. In the guidebook, an exclusive quote from Rohde as he describes the park uses some of the same, exact phrasing word for word: “intrinsic value of nature.” If that’s been present, then I’d imagine the other two qualities have been, too, perhaps making Pandora a more intentional decision than it would at first seem. Here we see a merged definition that shapes the concrete categories of Eisner’s dedication with the themes of Rohde’s breakdown. Quite, quite illuminatingly, Wright notes of the third point about mythical animals: “This concept will continue to be developed over time.” This is remarkable. Mythical creatures were slated to be part of the park when it opened in 1998, but that realm was never built. As early as 2007, it was on the Imagineers’ minds to fulfill in the park a tier from its inception that it hadn’t yet lived up to (which was rather gutsy of Disney to share in the capacity of an openly published book). Disney’s Animal Kingdom has always touted its 5pm closing time as necessary for proper care of its animals. That’s fine and dandy, but recent comments from Disney brass about their excitement for the park to finally be a full-day experience render the former reasoning as a cover-up for a not-so-full roster of attractions. Nevertheless, the problem is being fixed, and that’s a good thing. Some of the first inklings of change might not have been headlining draws for new visitors (and perhaps might not even be noticed by the average guest), but still improved the park experience tenfold. The recent transformation of Discovery Island‘s color scheme, architecture, and plaza formation offer improvements in design and efficiency, eliminating its zoo-like tackiness. The expansion of Harambe Market, which opened in 2014, extends the story of Africa beyond its initially narrow alley in a way that makes its previous iteration unimaginable and nearly doubles the footprint of Africa‘s street traffic. Next, Rivers of Light functions as the park’s first-ever nighttime spectacular and an anchor to keep families staying later. Rivers of Light is a curious production to assess because it has no precedence. The tricky part comes in subconsciously assuming its precedence is every other Disney nighttime show, but isn’t quite fair considering the parameters Rivers has of not using any fireworks and its decision to be an abstract narrative featuring no Disney characters. Within this context, it can be appreciated as beautiful eye candy and food for thought, even if it lacks an end-all-be-all “wow” moment we might typically associate with a nighttime spectacular. Its function is to express the themes of Disney’s Animal Kingdom in a way that sends us off with that call to action Rohde mentioned as being integral to the purpose of the park. Experiencing the first performance of Rivers of Light with an audience comprised entirely of fellow Walt Disney World Cast Members was one of the highlights of my season of working for Disney. The collective pride for the show to be all that it can be was a special atmosphere of which to be part. And then we have Pandora: The World of Avatar. This expansion aspires to bring Disney’s Animal Kingdom to a level playing field as its competitors and Disney siblings. When Pandora opens on May 27, 2017, it will host the first new, permanent attractions the park has debuted in 10 years. Avatar: Flight of Passage will be a thrilling, 3D simulator whose unique ride vehicle allows guests to fly on the back of a banshee. Na’vi River Journey will be a calm boat voyage through Pandora‘s “natural” beauty and bioluminescent foliage. Both are expected to be state-of-the-art in terms of storytelling and technology. The expansion has already gained national attention with coverage on Good Morning America, Nighltine, and The View, as well as an ad campaign whose reach extends to primetime television. Pandora ultimately brings Disney’s Animal Kingdom into the industry standard of theme park experiences, a long time coming for a park with such an ambitious stature. To see park operations prepare for Pandora‘s arrival (even five months before its opening) was exciting and energizing. Disney’s Animal Kingdom is not my favorite Walt Disney World park, but in working there I found meaning in places I never would have discovered before. There’s SO much story taking place EVERYWHERE. While the park is dotted with incredibly rich detail, some of it is so rich that it is completely lost upon the guest, bringing into question its effectiveness at all (and, as stated earlier, questions whether the chicken or the egg came first). Regardless, it wasn’t just thematic detail that gave DAK new meaning to me. It was a deeper, emotional connection, too. If you spend 6-14 hours 5-6 days a week anywhere, you’re going to grow some relationship with it, and thankfully mine was a positive one toward DAK. In the relationships I began to form, both the extended kind with my Cast and the one-time kind with guests, I found a new layer of appreciation because the same space that I had always known growing up was connecting with me in a new way. The same was the case when I stood with my wand at top-of-the-hill and got to experience the park’s transformation from day to night. The same will be the case yet again as Rivers of Light and Pandora: The World of Avatar completely flip the landscape for what this space is to the twenty-first century park guest. 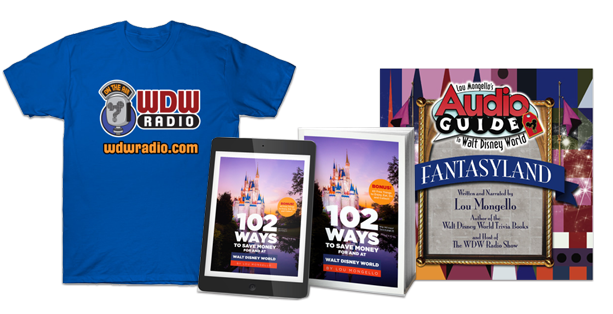 To learn more about Blake and read his recent posts for WDW Radio, visit his author page by clicking the link on his name at the top of this post.